Today’s talisman painting is all about Joy! I chose Egyptian sigils for the gods that I find rule inspiration, insight, creativity, and success. 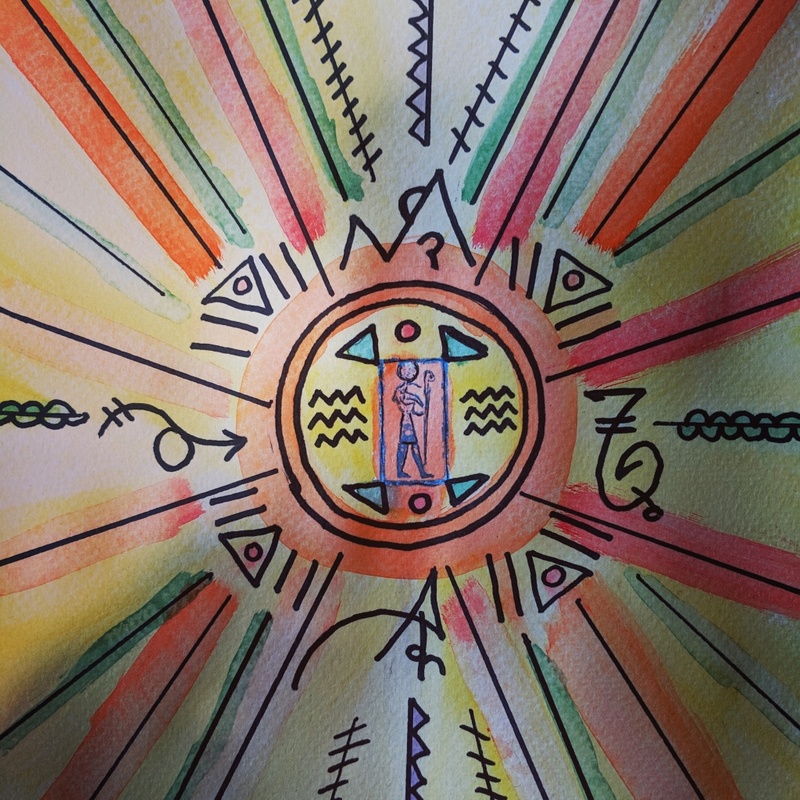 (Ra, Wadjet, Ptah, Atem) This talisman is about manifesting joy in creativity. This entry was posted in magical artifacts, Magick, Spirituality and tagged talismans by Steph. Bookmark the permalink.